*Added a new buff; more info below. *The reward trait now has slower motive decay for Hygiene and Energy. *Fixed a bug preventing the Become an Elder objective from passing. *Also I changed the Become an Elder objective to be passable if the Sim is a vampire. **This doesn't change compatibility, I added this since vampires don't age. 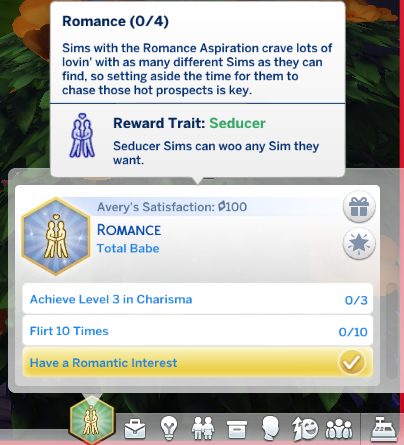 The Romance aspiration from The Sims 2 is back! 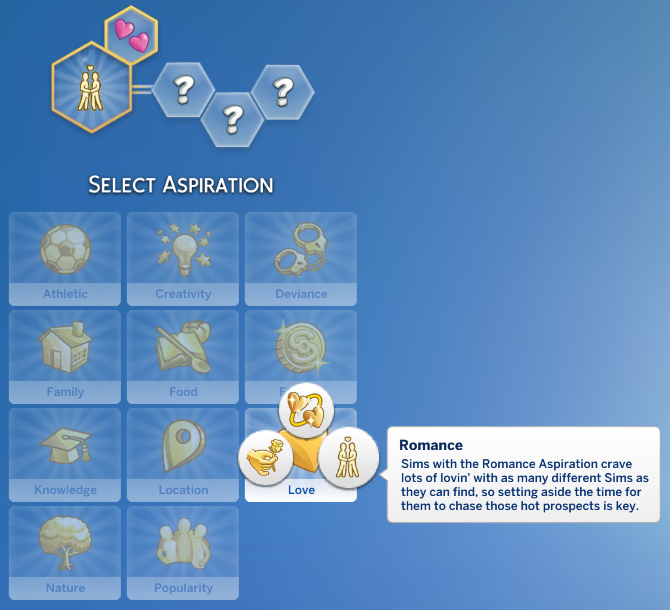 Thanks to Zerbu's awesome Mod Constructor I have recreated the Romance aspiration. The original aspiration had 6 levels and each were different depending on age. So I took the 1st from Teen, 2 from Adult, and 1 from Elder. When creating each level I pulled from the name and the original aspiration's wants. In the end, this turned out as kind of a more extreme version of the Serial Romantic aspiration. 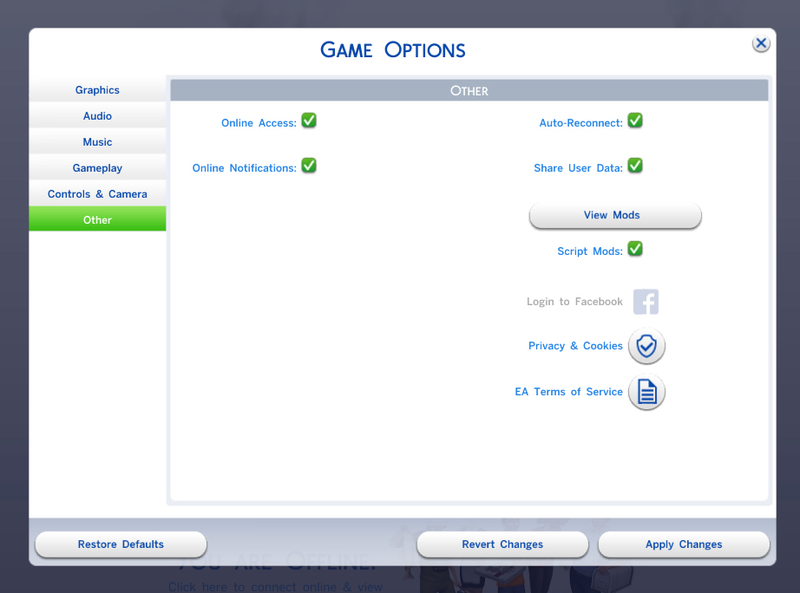 The aspiration will give your Sim whims; though none of them are new whims. Basic things, like Become Flirty, WooHoo, etc. 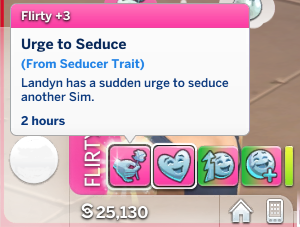 With this trait, your Sim can woo any Sim they wish. The trait gives a boost in building Romantic relationships and Friendships. And it helps with building all Social skills, but mostly the Charisma skill. It also gives boosts in the Athlete, Culinary, and Entertainer careers. 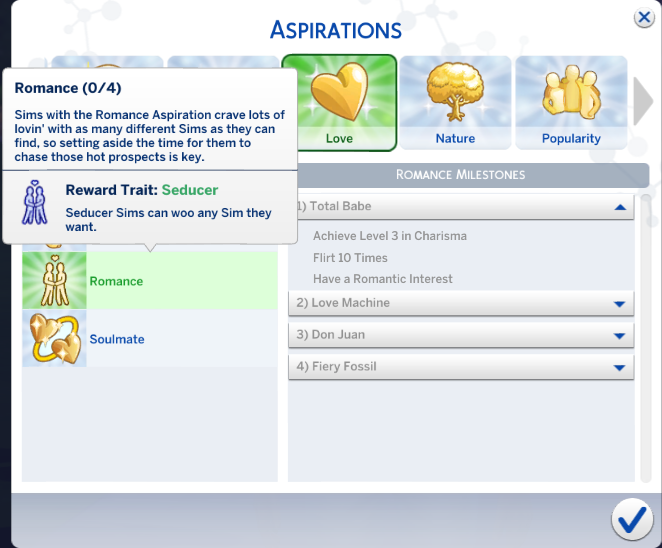 The trait also comes with a buff; Urge to Seduce. This buff will make your Sim flirty and gives an even bigger boost to Romances, Friendships, and the Charisma skill. Along with the same careers. The trait does have a negative buff, though. 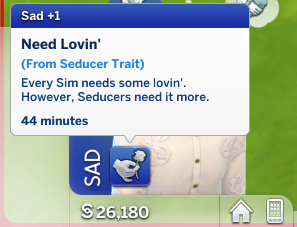 The Need Lovin' buff will appear if a Sim hasn't done much in the lines of romance lately. The buff is a sad buff, but other than that, it has no effects. I'm currently working to recreate all The Sims 2 aspirations (except Grilled Cheese, since it's already in the base game). My next aspiration will be the Fortune aspiration. If you have any constructive feedback, I'd love to hear it. Depending on the feedback I get, I may release an update to this aspiration.